The treatment you might not have tried….but probably should! I get asked all the time by friends and family what they could be doing to enhance their health, reduce their muscle pain and improve their performance in sports and I consistently find myself telling them to try Active Release Technique (A.R.T.). I don’t suggest this technique simply because I practice it, I suggest A.R.T. because I have seen in my practice what it can do for people. From resolving chronic hip pain in three sessions, to reducing the pain of lateral epicondylitis to half in two treatments, A.R.T. is by far my favorite tool for healing. But what exactly is Active Release Technique? To paraphrase, it’s soft tissue therapy that involves moving the limbs, torso or head as tension is applied to the painful or tight muscle. My patients would probably describe treatment sessions like a cross between a massage and a stretching session with a personal trainer. Active Release Technique is generally not painful although some patients can feel minor discomfort during or after treatment which typically resolves in a day or two. A.R.T. can be used to successfully treat pain in almost every region of the body, as well as conditions such as tendonopathy, plantar fasciitis, tennis and golfer’s elbow, tension headaches, strains and sprains, bursitis, carpal tunnel and nerve impingements. Do I have muscle pain which is not the result of a muscle wasting disease, fibromyalgia or a side effect of a prescription drug? Am I able to move the area of concern within at least a small range of motion? Do I generally tolerate massage therapy well? If you answered yes to all of the questions above, a few sessions of Active Release might be just what the (spine) doctor ordered. To be considered an Active Release therapist, practitioners are required to re-certify and get retested every single year to ensure consistent quality and skill. 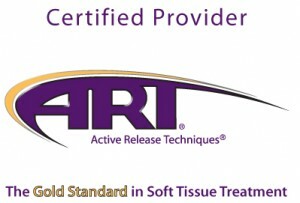 Every currently certified therapist will be listed on the practitioner directory of the A.R.T. website at www.activerelease.com. If you have any questions about A.R.T. or would like to book an appointment to find out more or get treated, call our office at 780-450-0555. *Note: A.R.T. is appropriate for most but not all patients. These questions are guidelines only. A one-on-one assessment of your individual needs is required to determine if A.R.T. is an appropriate therapy for you.